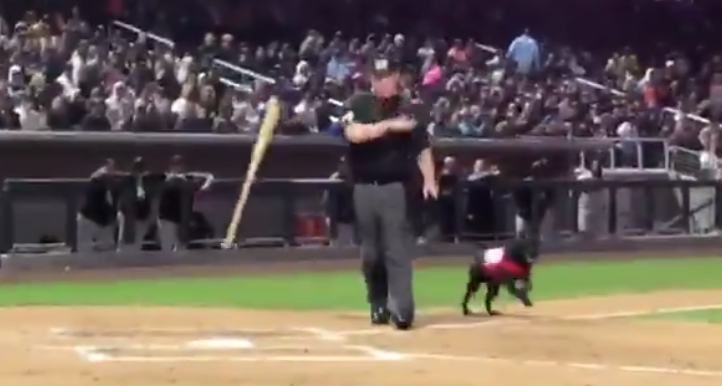 A minor league umpire just put himself at public enemy #1 when he was booed off the field Tuesday night, not because he made a terrible call, but because he disrespected man’s best friend. Finn The Bat Dog is the official bat dog for the Las Vegas Aviators, the Triple-A Affiliate of the Oakland Athletics. During the Aviators’ home opener, Finn was ready to go and fetch a bat left on the field by a hitter, but when he got there, the stupid ump grabbed the bat and tossed it away from him.